In order to have a good understanding of the mental effects of drugs, it is necessary to know something about what the mind is. The mind is not a brain. It is the accumulated recordings of thoughts, conclusions, decisions, observations and perceptions of a person throughout his entire existence. 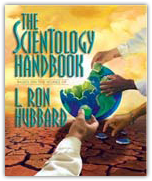 In Scientology it has been discovered that the mind is a communication and control system between a thetan and his environment. By thetan is meant the person himself, the spiritual being – not his body or his name, the physical universe, his mind, or anything else. The most obvious portion of the mind is recognizable by anyone not in serious condition. This is the mental image picture. At a later time, if this person’s environment were to contain enough similarities to the elements in that past incident, he may experience a reactivation of that incident. As a result he could feel nauseated, dizzy, sad and very tired – all for no apparent reason. This is known as restimulation: the reactivation of a past memory due to similar circumstances in the present approximating circumstances of the past. Using the above example of the person who took LSD, sometime later – perhaps years afterward – the residuals of the drug that are still in his body tissues can cause a restimulation of that LSD incident. The mental image pictures are reactivated, and he experiences the same sensations of nausea, dizziness and tiredness, and he feels sad. He does not know why. He might also perceive mental images of the persons he was with and the accompanying sights and sounds and smells. As what is going on according to the perception and subjective reality of such a person is varied in greater or lesser degree from the objective reality of others, such a person disturbs the environment and disrupts the smooth running of any group – from family to business to nation. We have all known such a person, so it is not uncommon in the current civilization. The sudden remark which makes no sense, totally out of context with what is being spoken about; the blank stare when given an order or remark – behind these lies a whole imaginary world which is jarred by our attempts to get something done in present time.